See more things that live in my closet here. Can I please live in your closet? Its full of beautiful things! Lovely pics!! I love Kate Moss' clothing line! She is amazing! Those clogs are a delight! Love them! i love the skirt and the elephant ring! I love your closet! I really think I need to go see TopShop right now! 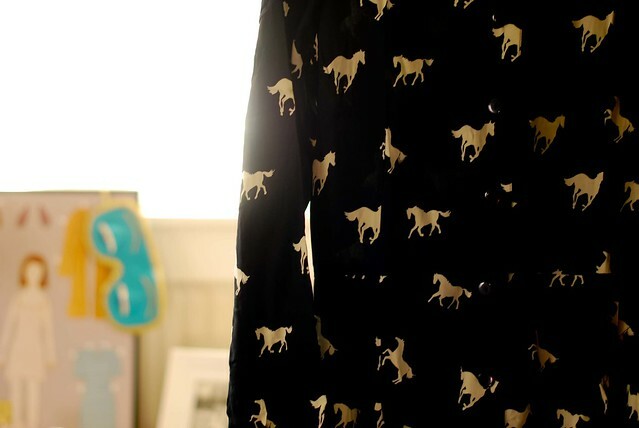 loving the things that live in your closet, your style really does seem so girly and flirty. love all the vibrant, fun colors and styles! I am so envious of your beautiful closet. You've inspired me to do some spring cleaning and re-discover what is in mine! Such great inspiration! You really have good taste hon! 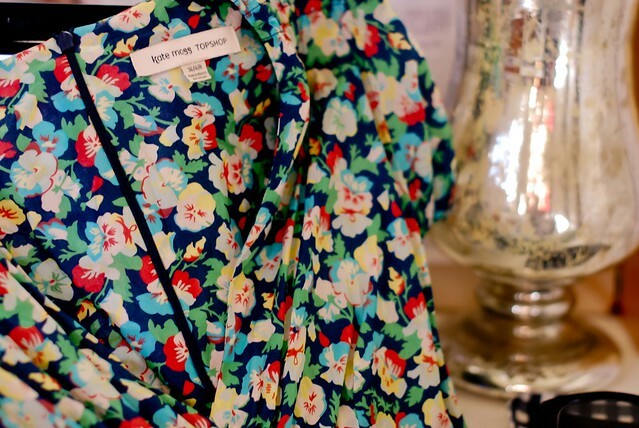 Images of clothes and accessories make me happy and I too gravitate towards floral patterns. I have those clogs in another color.. Love how I'm instantly taller in them!! Great choices! I also love how your wardrobe supports your style. I'll need to revise my own and find that golden mean. Amazing things!!! You have an excellent taste! Such beautiful things! I especially love the JC clogs and the Topshop clutch. I agree with you, that Zara floral print dress is a must have! I absolutely love the first picture of the black and white skirt. so preety! love your items! I've been looking at the River Island leopard shoes myself. I was saddened to learn that they're out of stock! i LOVE the last shirt!! it is soo feminine and cute! Love the Zara floral dress you want to add. These are some of my favorite posts! That kate moss dress is gorgeous. I love this feature of things in your closet. It's nice to take a moment to appreciate the little things. Sometimes looking at the whole closet can be so overwhelming. I love seeing the individual pieces. They are all so lovely! Wonderful post! I'm so glad you believe in the necessity of a good romper :) Every girl needs one! Love those rings, too. And I loveeee that clutch! love those rings and skirt! oooh my goodness, clutch and necklace in the 2nd to last picture ... LOVE!!! 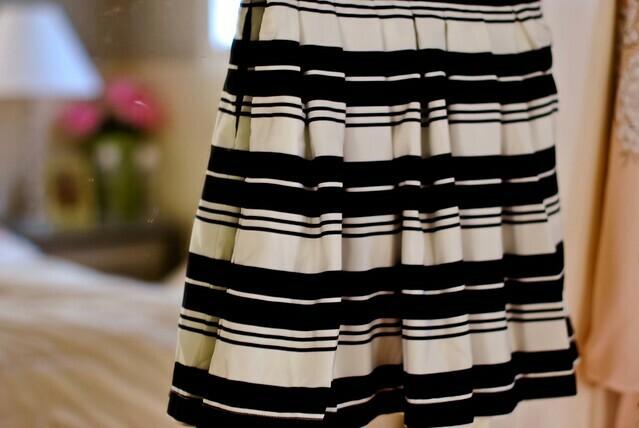 I love that black and white skirt. I have a bandage version with a similar pattern. I need to wear it more! i want to live in your closet!! i love that skirt... and those clogs are adorable too!! I think this post should be called, "Things that Mary is going to borrow from Taylor's closet" ;) Hah! I LOVE the clogs and the turquoise ring. AWESOME post. These pictures just make me want to go shopping - give me frills and lace! I adore seeing the things inside people's closets. More so since I started blogging. The pictures are lovely. I'm jealous of everything you in your closet! sooooooo jellie that you got something from the Kate Moss collection! It sold out so quickly! Such great photos! Do you take them? What kind of camera do you use? 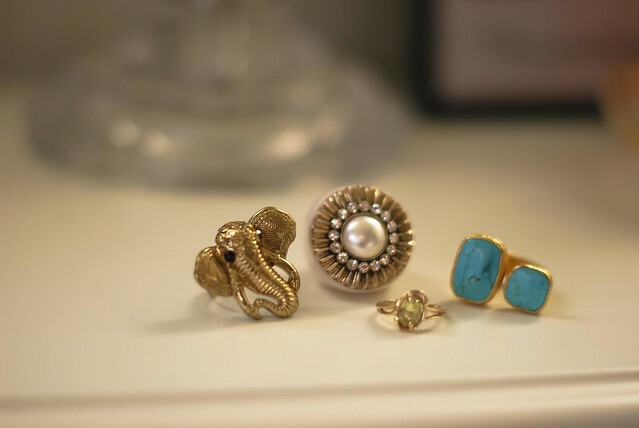 The elephant ring is so cute! Aside from the beautiful things, that live in your closet, the way your displayed & photographed them it fantastic! I love that floral Topshop dress -- so pretty! And that turquoise ring is gorgeous. I love this series, Taylor! Love all your rings! !1 That topshop dress is so beautiful! 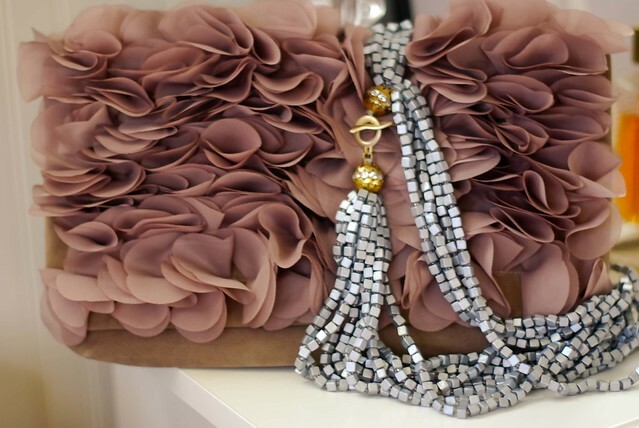 That ruffled clutch is absolutely darling! P.S. Check out my blog today for a special treat from Lulus.com, it's a neat discount that only lasts until Thursday so you won't want to miss it! One word to describe your closet: HAPPY!!!!!! XO!! Love it all! The clutch and dress are to die for!! Oh my gosh! Those skirts are beautiful. I'm so jealous!! And those rings...! I can very much relate to your style...I gravitate towards all things girly too. That clutch is beautiful! love the clogs! so pretty. can i live on your closet, haha?! Those shoes and that bag... Ahhhmazing!